It turns out that a large number of Russian ads on Facebook that viewers did not know were Russian ads influenced the way people thought about various issues last year. They may have even influenced the 2016 presidential election to some degree. 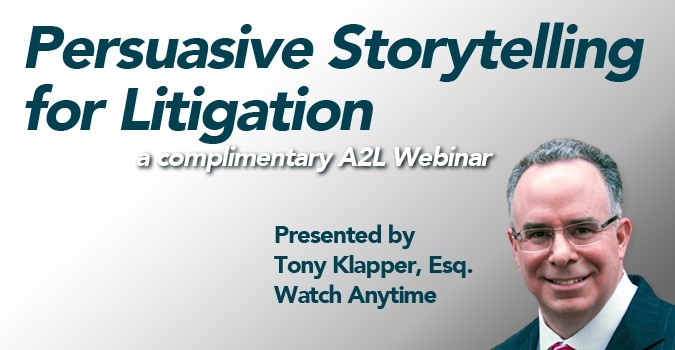 Rather than delve deeply into the appropriateness of these ads (in my view, they were wholly inappropriate), who exactly directed their placement, and how exactly they affected behavior, let’s instead look at these ads from a trial lawyer’s perspective. After all, if pictures and a few short phrases can be used to change the voting behavior of the electorate, it stands to reason that pictures and some well-chosen phrases can be used to change the voting behavior of jurors. In the courtroom, there’s no ethical debate about this process, since jurors know exactly where the message originates from — the mouths of lawyers, experts, and witnesses. So if an attorney can use proven persuasion techniques and it’s ethical to do so, the attorney must do so to zealously represent his or her clients. This is precisely why high-end persuasion firms like A2L exist. We’re here to help persuade, using all appropriate and ethical means, both visual and rhetorical. We’re not Russian hackers. Instead, we’re hackers of human psychology, since we help top trial lawyers use proven techniques to maximize their persuasiveness. We do this by bringing together a remarkable combination of trial lawyers, social scientists, and artists to do what we do, a process we call litigation consulting. Let’s look at the Russian ads in this light. Because of some good investigative journalism and investigative work in Congress, many of the ads, Facebook groups, Facebook pages, and messages have been identified and published — and most of them are really disturbing. The ads used some of the same time-honored techniques that trial lawyers use – but because their source was disguised and because they were intended to disrupt, not to persuade, they were dangerous. For example, many of the ads targeted topics where there is a deep division or poked at issues in a way designed to inflame. In almost every case, they used a favored technique of marketers, trial lawyers, and politicians alike — FEAR. And that makes sense. Fear is a ten times greater motivator than hope of gain. That’s why marketers tell us that the one-time low pricing will end Sunday night, not how happy we will be on a new mattress. That’s why politicians tell us that immigrants should fear deportation if their opponent is elected, not that the melting pot is a good thing. And finally, of course, that’s how a specious argument that an everyday product causes cancer can overwhelm a defense based on good science. Fear wins, and good trial lawyers on both sides of the courtroom must use it. I wrote a lot about this topic in my five-part series about the Reptile Trial Strategy. 1. 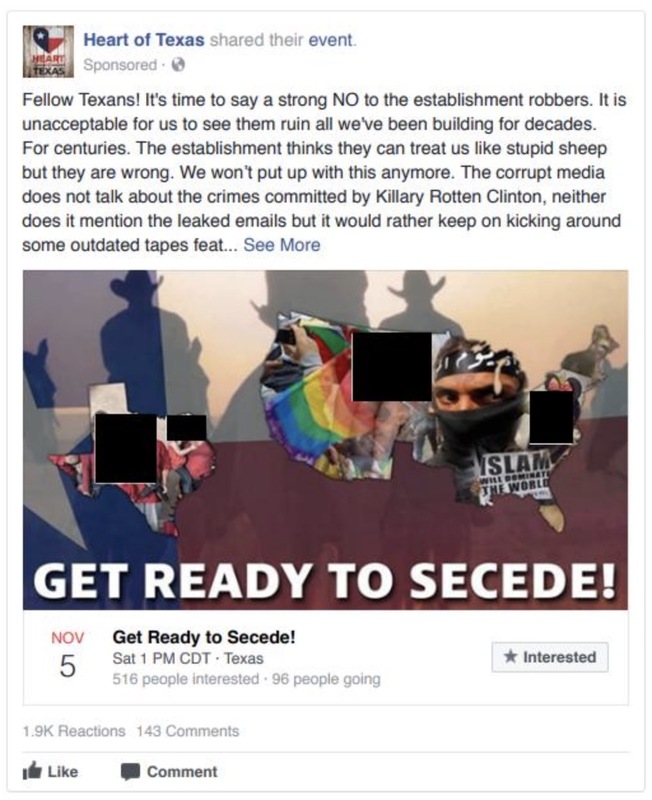 Heart of Texas: This Facebook group that advocated for Texas secession quickly gained more than 250,000 members. The ad below uses a fake Facebook event as part of its messaging. What made a quarter of a million Texans unwittingly sign up for a Russian-backed Texas secessionist movement? The ad works because it stokes existing biases while seemingly coming from a credible source. If we define bias broadly as any commonly held belief by a person that makes it harder for them to accept contrary evidence, you can see how this could work in the courtroom. Obviously, we’re not talking about using racial, ethnic, or sexual preference biases as part of advocacy. Instead, I’m referring to those beliefs that many jurors show up to trial with — like bankers are all motivated by greed, big energy companies don’t really care about the environment, or tech companies will ruthlessly steal from one another. Just as the Russians used biases in a deplorable manner, trial lawyers can play to other biases by encouraging jurors to accept and double down on their beliefs. As I wrote in a recent post, when you combine a credible source such as an expert witness with a message that jurors are ready to hear, you are likely to come out ahead. Consider how I embraced these biases and re-messaged these in a recent blog post about bias below. As you read each think about how you might couple each with persuasive visuals to maximize persuasion. 2. 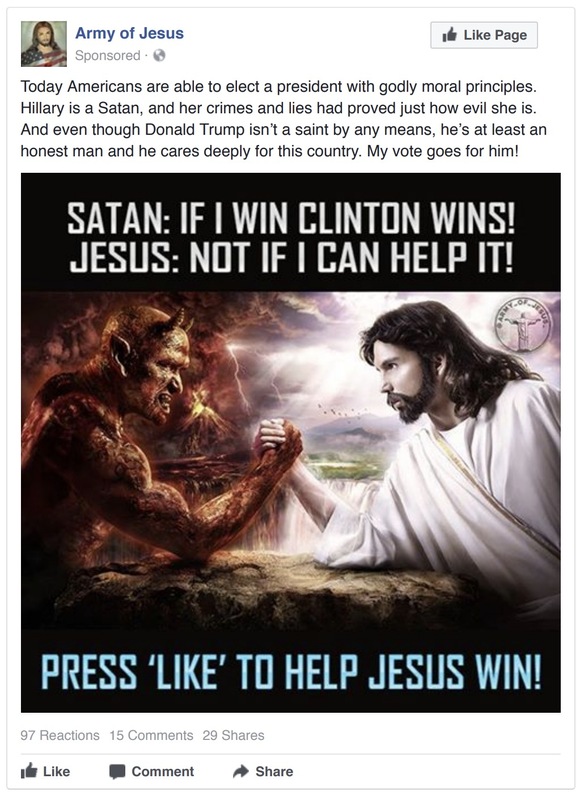 Army of Jesus: Here, the Russians have exploited the religious beliefs of their Facebook targets to build more division between voters. Common fallacies include that the enemy of one’s enemy is their friend and a friend of my enemy is my enemy. This ad exploits those fallacies and obviously sides with a religious figure important to most of the targeted conservative religious voters. Focusing on good vs. evil is certainly a tool that works in the courtroom – of course without the appeal to religion. If your narrative can arguably position your client as the good actor, it’s right and useful to incorporate this into your narrative. That’s true if you are the car company that has always made the environment part of your focus, the inventor organization in a dispute over intellectual property rights, or the developer of a life-saving drug that has helped enormous numbers of people. I find that our opposition, typically another large company like our clients, rarely focuses on making their organization appear to be the good actor. This surprises me. If you can convince your jury that your client is the good actor starting with the opening statement, the jury will naturally begin to filter evidence through this lens. The fundamentals of storytelling tell us that there is typically a protagonist and an antagonist and jurors will try to determine who’s who from the earliest moments of the case. When visualizing that we are the good actor, we often focus on humanizing the company. Show the humble roots of the founder. Show photos of the first office. Show a montage of community focused efforts in the jurisdiction. 3. 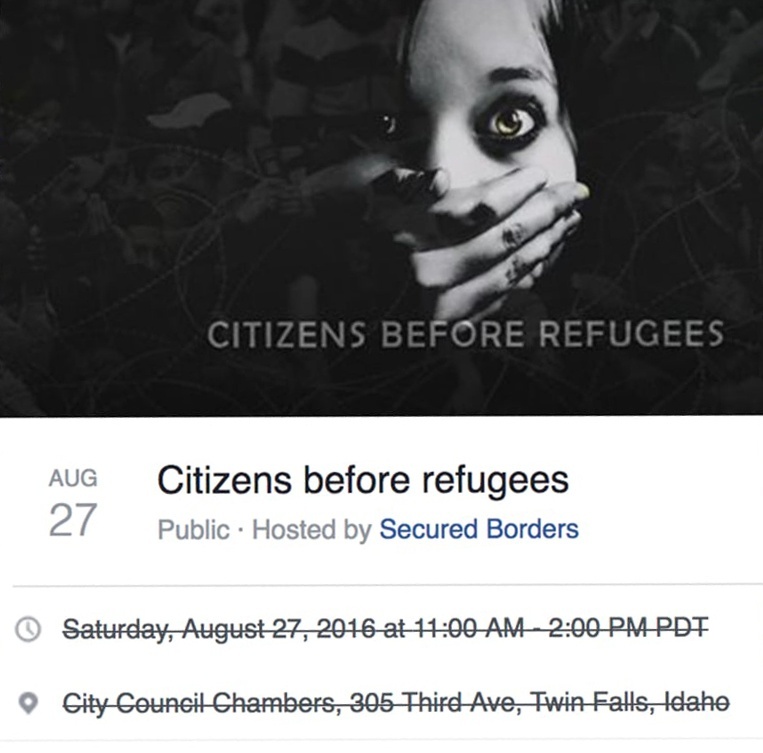 Local Pride/Anti-Outsiders: There are many Russian Facebook ads that were anti-immigration. Mostly they are so patently offensive that I didn’t feel right about re-publishing them. Here’s one from Secured Borders, a Russian front, that’s somewhat less offensive than the rest. Commonly, being part of the local scene serves a litigant well. I’ve never seen touting one’s local roots backfire when done by one of our clients. The only times I’ve seen lines crossed and work against the lawyers are when anti-foreign biases are exploited in tech cases. You see this sort of approach attempted most often in EDTX in patent cases. That’s how, by the way, Marshall, Texas has been the recipient of the Samsung ice rink near the courthouse and Houston sees Toshiba sponsor the local livestock show. Bottom line, if you are the local company and companies from outside the jurisdiction are attacking you, use it. Be careful to strike the right balance, however. If you appear to be a xenophobe like the Russians masqueraded to be, you will lose credibility and the hearts and minds of your factfinders. Instead, show on a map how close headquarters is to the courthouse. Show photos of the building everyone associates with the company. Show the classic drone photo of the entire staff outside the factory nearby. Show the signature trucks everyone is used to seeing driving on local roads. Twenty years ago, many were skeptical that visual aids used during trial made messages more memorable, more understandable, or more persuasive. Now, looking back at the Russian Facebook ad onslaught, we can see that advanced psyops organizations are far ahead of many trial lawyers when it comes to the power of visual storytelling and visual persuasion. So next time you are headed to trial or need to persuade any audience for that matter, find a visual persuasion expert to help you enhance your message. You too will be more likely to come out ahead when your audience’s votes are cast. Storytelling at Trial Works – But Whom Should the Story Be About?